A fun destination for family outings, Vastrapur Adventure park derive its names from its locality and is quite popular among folks and tourists alike. Located right in the heart of the city, the place is home to Vastrapur lake along with a number of attractions. Here, you will get numerous rides and restaurants to enjoy and have fun. Children will be spoilt for choice with the number of things to do here. You too, can bask in its soothing ambience, noshing on some lip smacking delicacy sold in the food joints. Its ideal location makes it easily accessible hence you won’t have to worry about how to get here. If you wish to spend some time away from the hustling crowd of the city, this is definitely a place you must not miss! 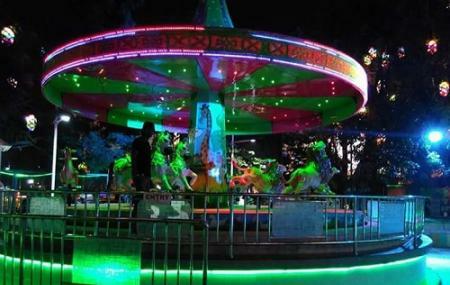 How popular is Adventure Park Vastrapur? People normally also visit Sarita Udhyan while planning their trip to Adventure Park Vastrapur. Best place for kids to enjoy weekends, vacation or short trip nearby home. My kids love it. Kids enjoyed a lot here. Nice rides. Ya it fine. But the amusement Park is also fine. But if you want to go to see the only lake it is not worthy to go but if you want to go for rides it is fine I mean average.